Homes were sold at a furious pace last month. According the National Association of REALTORS® (NAR), the Pending Home Sales Index rose 5.2 percent in October, crossing the benchmark 100 reading, and moving to 104.8. It’s a 5-point improvement from September’s revised figure and the highest reading April 2010 — the last month of that year’s federal home buyer tax credit. October also marks the 18th consecutive month during which the index showed year-to-year gains. As a housing market metric, the Pending Home Sales Index (PHSI) differs from most commonly-cited housing statistics because, instead of reporting on what’s already occurred, it details what’s likely to happen next. The PHSI is a forward-looking indicator; a predictor of future sales. It’s based on signed real estate contracts for existing single-family homes, condominiums, and co-ops. Later, when the contract leads to a closing, the “pending” home sale is counted in NAR’s monthly Existing Home Sales report. Historically, 80 percent of homes under contract, and thus counted in the Pending Home Sales Index, will go to settlement within a 2-month period, and a significant share of the rest will close within months 3 and 4. 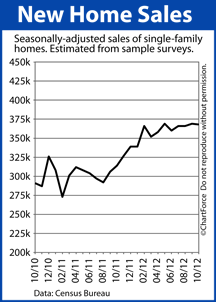 The PHSI is a predictor of Existing Home Sales. 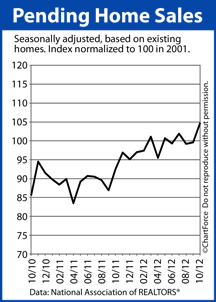 A Pending Home Sales Index reading of 100 or higher denotes a “strong” housing market. Of course, with rising home sales comes rising home values. 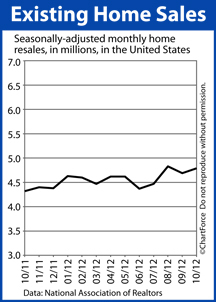 2012 has been characterized by strong buyer demand amid falling housing supplies. It’s one reason why the Case-Shiller Index and the FHFA’s Home Price Index are both showing an annual increase in home prices. Plus, with mortgage rates low as we head into December, the traditional “slow season” for housing has been anything but. The housing market in Birmingham is poised to end 2012 with strength. 2013 is expected to begin the same way. For buyers of new construction, then, in Bloomfield Hills and nationwide, 2013 is a critical year. Home prices may rise and mortgage rates may, too. And, along the way, it may get tougher to get a “great deal” on new construction. 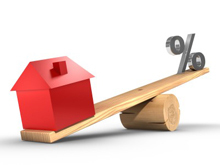 Which Is Better : 15-Year Fixed Rate Mortgage Or 30-Year Fixed Rate Mortgage? As a home buyer or refinancing household in Royal Oak , you have choices with respect to your mortgage. You can choose a loan with accompanying discount points in exchange for lower mortgage rates; you can choose adjustable-rate loans over fixed rate ones; and, you can choose loans with principal + interest repayment schedules or repayments which are interest only, as examples. For borrowers using fixed rate loans, there’s also the choice between the 30-year and 15-year fixed rate mortgage. Each has its positives and negatives and neither is “better” than the other. Choosing your most appropriate fixed-rate term is a matter of preference and, sometimes, of budget. With a 15-year fixed rate mortgage, mortgage rates are often lower as compared to a comparable 30-year fixed rate mortgage. However, because loan repayment is compressed into half as many years, the monthly payment will necessarily be higher, all things equal. On the other side, though, homeowners using a 15-year fixed rate mortgage will build equity faster, and will pay less mortgage interest over time. With a 30-year fixed rate mortgage, mortgage rates tend to be higher as compared to a 15-year fixed rate loan, but payments are much lower — sometimes by as much as 50%. Lower payments come at a cost, however, as mortgage interest costs add up over 30 years. Regardless, 30-year fixed rate mortgages remain the most common mortgage product for their simplicity and low relative payment. There is no “best” choice between the 15-year fixed rate mortgage and the 30-year fixed rate mortgage. Choose a product based on your short- and long-term financial goals, and your personal feelings regarding debt. Mortgage applicants choosing the 30-year fixed rate mortgage can qualify to purchase homes at higher price points, but those using the 15-year fixed rate product will stop making payments a decade-and-a-half sooner. There are benefits with both product types so, if you’re unsure of which path works best for you, speak with your loan officer for guidance and advice. When Birmingham homeowners get ready to list, advice will often come from all corners of their personal and social network — what within the home to upgrade; what to repair; what to replace. And, although some advice remains valuable, much of it can be ignored. The costs of an expensive upgrade are rarely recouped at the time of sale and studies show that smaller, simpler actions can yield a bigger return on your investment of time and money. Here are four inexpensive, yet highly effective, ways to prepare your home for sale. It’s not just the inside of your home which should be inviting to buyers — the outside of your home should be, too. 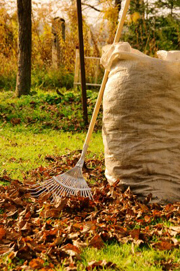 Trim hedges, maintain the lawn, power wash the walls and try to inject some color, where possible. Your yard is your home’s first impression on buyers. Make it a great one. Extra sunlight lends an airy feeling to your home, and interior lights provide cozy glow. Therefore, wash your windows, pullback your drapes, replace burnt-out bulbs, and add outdoor lighting to your landscaping, if possible. Also, keep your home lit in the evenings in the event that potential buyers drive by after-hours. With the lights on, your home will look cheery instead of dark and gloomy. Less can be more when it comes to showing your home so put your knick-knacks, your stacks of books and your fridge-covering artwork in storage. Be sure to avoid stashing personal items in closets because buyers expect closets to be clutter-free as well. A new coat of paint will freshen up any room so paint where needed. However, stick to neutrals such as grays and tans. Also, consider repainting rooms bathed in bright, fun colors — this can divert a buyer’s attention away from the home and toward money-costing “projects” that would come with buying the home. With the help of your REALTOR® and a little hard work, these tips should help you increase your home’s appeal to a wide variety of buyers without breaking the bank. It may even help you sell your home more quickly. A “housing start” is a new home on which construction has started and the report gives buyers and sellers across Michigan yet one more reason to be optimistic for the 2013 housing market. Record-low mortgage interest rates continue to spur housing, as do low prices. Neither will last indefinitely. 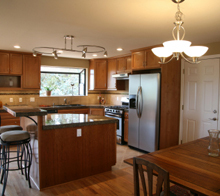 If you plan to purchase a home in Royal Oak in 2013, therefore, consider moving up your time frame. 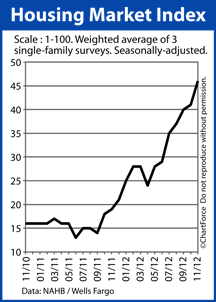 Home ownership will likely increase in cost as the year moves on. The National Association of Home Builders (NAHB) released its Housing Market Index (HMI) Tuesday, which showed sharp, 5-point increase to 46 for November 2012, marking the seventh consecutive monthly gain for the HMI, and lifting the index to its highest point since May 2006. Readings under 50 indicate unfavorable housing conditions for builders. Readings over 50 signal “good” conditions. The Housing Market Index is a measure of builder confidence, published monthly, based on a survey sent to NAHB members which asks them to rate housing market conditions. Builders report growing demand for new homes as inventories for alternative properties — distressed and foreclosed homes, for example — shrink nationwide. Even Hurricane Sandy did little to suppress builder confidence. The NAHB survey was conducted in the two weeks immediately following Hurricane Sandy so the Housing Market Index does reflect builder sentiment during that period. All regions of the country posted confidence gains in November. The South Region showed a 4-point gain to 43; the West Region showed a 3-point gain to 47; the Midwest Region showed a 3-point gain to 45; and the Northeast Region showed a 2-point gain to 31. Despite the gains, builders in Bloomfield Hills and nationwide still report challenges with home appraisals and tight credit conditions. In addition, a shortage of buildable lots in some areas is limiting the ability for home builders to put more single-family homes on the market. As builder confidence grows, today’s buyers throughout Michigan should prepare for the possibility of higher home prices. Confident sellers are less likely to make price concessions or to offer free upgrades. If you are in the market for a new home, therefore, the time between now and the New Year may be the best opportunity to make a bid on a home. Starting next year, low prices may be gone. 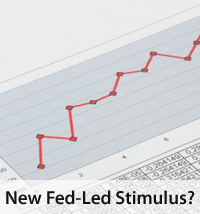 The Federal Reserve released its October Federal Open Market Committee (FOMC) meeting minutes last week, revealing a Fed in disagreement about the future of the U.S. economy and about what, if any, stimulus may be warranted in the next 12 months. The “Fed Minutes” recaps the conversations and debates that transpire during an FOMC meeting, and is published 3 weeks after the meeting adjourns. According to the October minutes, FOMC members “generally agreed” that a housing recovery is under way nationwide, citing increased housing prices, higher sales volume, and rising construction in many parts of the country. FOMC members made no major policy changes at their last meeting, but agreed that a continuation of additional asset purchases would likely be necessary in 2013, in order to achieve a substantial improvement in the labor market. The economic forecast prepared by the FOMC staff shows an uptick in consumer spending, residential construction, and labor market conditions which more than offset recent downgrades in the business fixed investment and the industrial production outlooks. 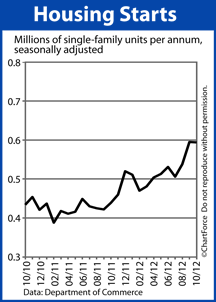 Through 2013, economic activity is projected to accelerate gradually, supported by a lessening in fiscal policy restraints. The Fed also anticipates that Royal Oak home buyers will benefit from looser credit standards. Low mortgage rates are helping home buyers, too. According to Freddie Mac, the average 30-year fixed rate mortgage rate was 3.34% last week, down from 3.55% in September. This has given a boost to buyer purchasing power nationwide and the year-end housing market may reflect it. Demand for homes remains strong. The next FOMC meeting is scheduled for December 11-12, 2012. 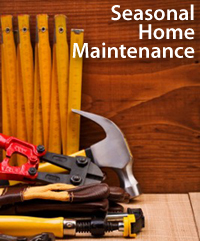 With less sunlight, colder temperatures, and shorter days ahead for Birmingham , it’s an opportune time to cross those last-minute maintenance items off your homeowner to-do list.